Mathias Delplanque is a multi-disciplinary artist who graduated from the École Nationale d’Arts (French School of Fine Arts) of Cergy Pontoise. He first studied sculpture before pursuing in music. He then started to review musics for several magazines and work on numerous projects of Musique Concrète. 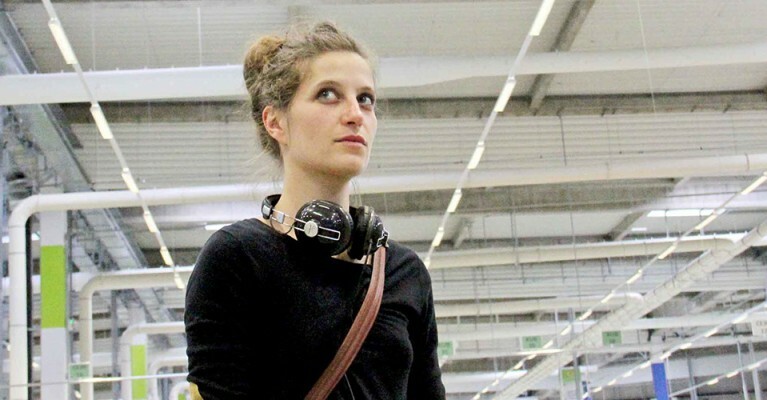 French and foreign galleries exhibited his resonant pieces. 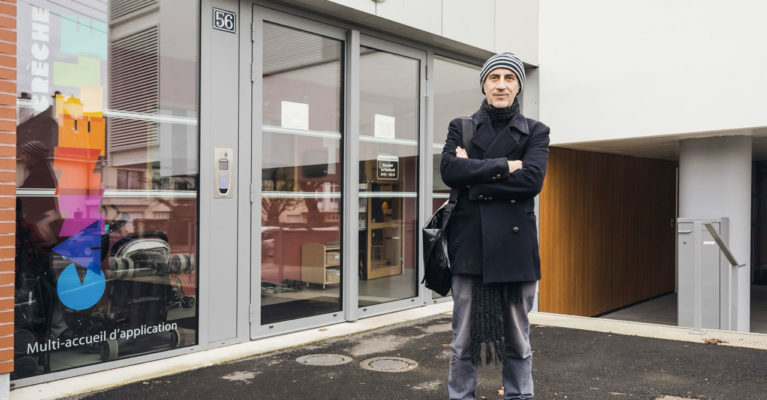 The Faculté des Métiers CMA 35 is an institution created in 1999 that was initiated by the Chambre de Métiers et de l’Artisanat (Chamber of Trade and Craft Industry) of the Ille-et-Vilaine department and the Chamber of Commerce and Industry of the Rennes Bretagne Region. This organization also received support from regional and national organizations. 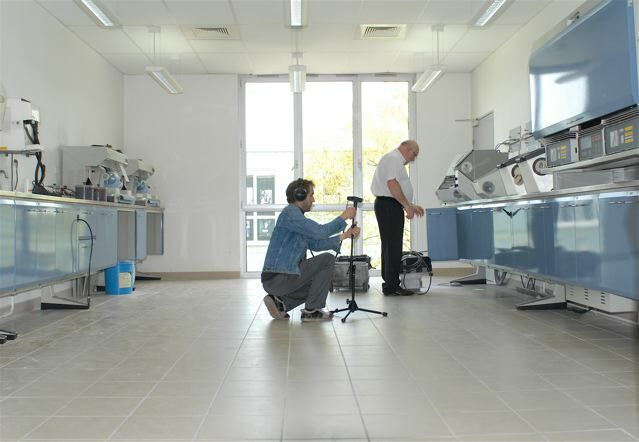 The Faculté des Métiers is located in the city of Bruz on the Ker Lan campus and allows students to get a professional degree (60 degrees for 30 different professions). 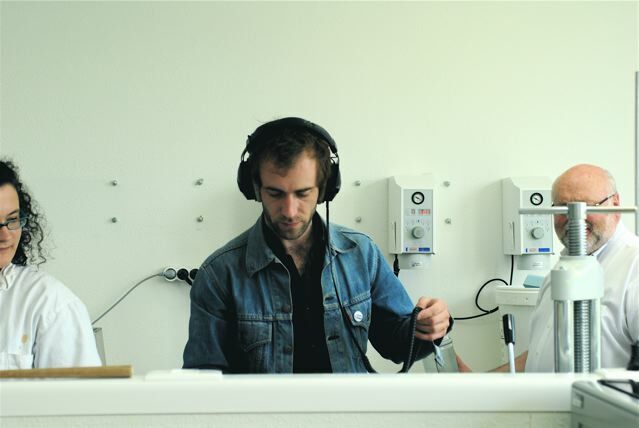 Mathias Delplanque did his residency in April 2011. He worked with students pursuing a degree in Photography and wandered around the buildings and studios of the Kern Lann campus. 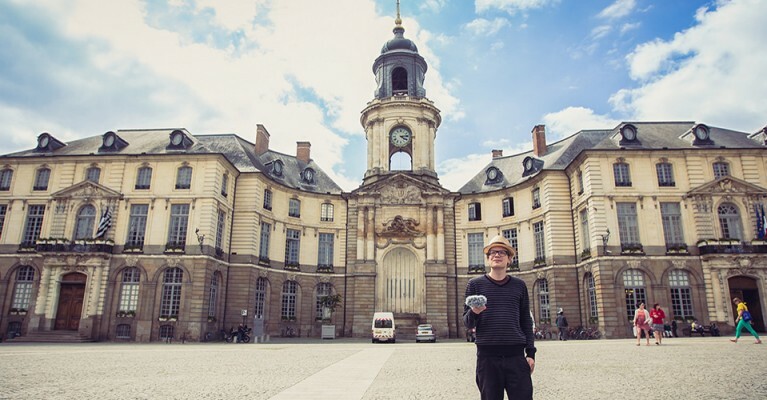 Mathias Delplanque thought the location as a music instrument and worked particularly on the acoustic and the resonance of the corridors and studios. 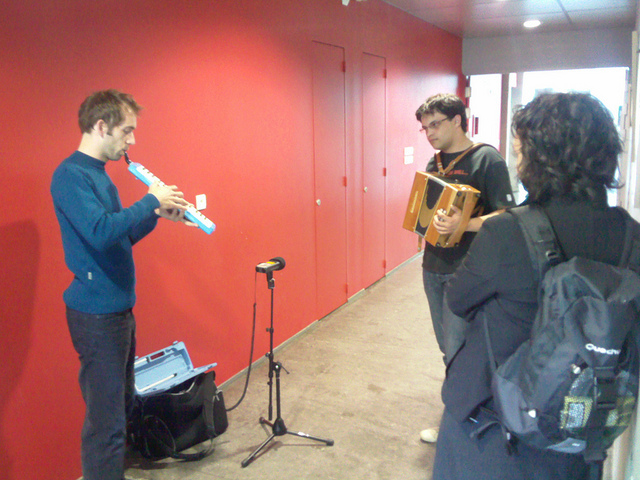 Along with a student, who played accordion as to echo the work of Mathias Delplanque, they performed a live show to release the recordings that took place on Thursday 12 May 2011 at the Faculté des Métiers.